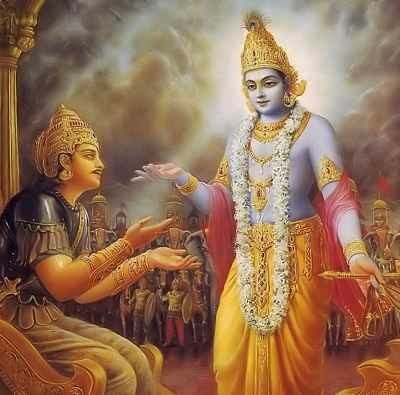 In this slokam and the next five slokam-s Lord Krishna describes the nature of karma or prescribed Vedic activities. The knowledge that one is completely dependent upon the Supreme Lord and that the Supreme Lord alone is the actual performer of all actions guarantees that all reactions to actions are neutralised by the fire of wisdom. Lord Krishna propounds the manner in which the spiritually intelligent seeking moksha or liberation act in regards to action and inaction. That person whose every action is free from desire and hankering for rewards be it obligatory or not obligatory, daily or occasional even as well on special days such as festivals for the Supreme Lord's appearance day. Their actions are incapable of sprouting reactions as they are free from even the thoughts of desire due to being purified by the fire of knowledge which manifests as not desiring the rewards of any action and this applies even up to the Supreme Lord. The person performing karma or actions accrues reactions by attachment to desires and hankering for rewards. This is delusion as desires are imagined and fantasised before enactment. Thus it is merely a false idea or wrong notion of the mind. The fantasising alluded to here consists of the mentality which erroneously identifies the atma or soul with prakriti or material nature along with the three gunas being the modes of goodness, passion and ignorance and mistakenly conceives of them as all being one principle. But to that person seeking moksha or liberation all acts regular and occasional performed by them and necessitated by bodily maintenance are not subject to reactions being devoid of desire. 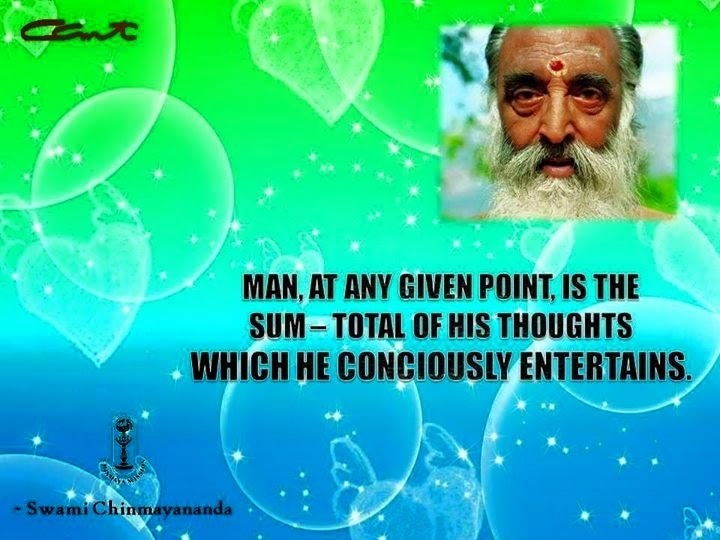 Further exemption is guaranteed as the aspirant for moksa is not living in a world of imagination or fantasy because such a person performs every action while being cognisant of the eternal atma. Whoever performs karma in this manner while meditating on the atma is one of spiritual intelligence situated in atma tattva or soul realisation and all reactions to a myriad of past actions have been eradicated by the fire of knowledge. Thus Lord Krishna is praising the person who performs prescribed Vedic activities in atma tattva as being highly laudable. This is in sharp contrast to the karmi or one who performs actions for fruitive rewards being forced to accept reactions.